Best compression shorts for all sports (2018) - Look thin and add gains! 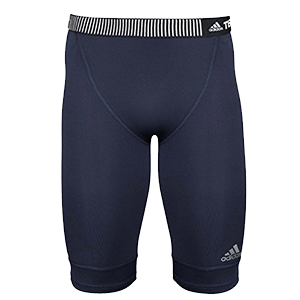 How to Find the Best Compression Shorts/trousers for workout needs in 2019? Compression clothes are designed to maintain the heat of the body and to reduce the risk of sprains or muscle tears. We'll tell you all about the best compression shorts, their benefits and their myths! What's the Purpose of Compression sports wear? What are the best men’s shorts in 2019? 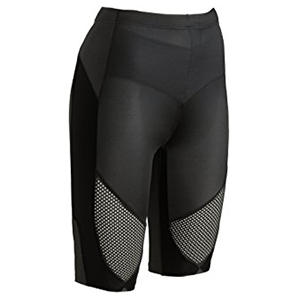 What are the best women’s compression shorts in 2019? Why Do Guys Wear Compression Shorts? How Much Are Compression Shorts? 1 How should compression shorts fit? 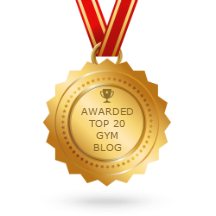 2 How do compression shorts help you lose weight? 3 How to keep shorts from riding up while running? 4 How to wear white underarmor compression shorts? People are always on the lookout for the new thing that could enhance their performance. Usually, we invest in accessories that will make our workout more efficient, but sometimes we should also take an interest in the equipment. "Where to buy compression shorts" is not the most important question here. It’s more important to know which compression shorts are better or what makes them a quality product or not, regardless of the brand. This frenzy with compression clothes has began roughly around 2001 when NBA star Allen Iverson played with a compression sleeve to protect his bursitis elbow. Scoring 51 points that night, the audience has attributed his achievements to the compression sleeve. That's how this trend with compression clothes has started, or so they say. It's difficult to establish if these types of garments will actually turn you into the next superstar, but they do have some nice attributes, beside the fact that they look cool. They are basically designed to squeeze your flesh into a flexible material that will perfectly show off each muscle, in order to improve the oxygen supply inside the tissues. By maintaining the heat produced by your body while working out, they increase performance and accelerate the recovery. Made out of sturdy elastic fabric, the best compression shorts will support your leg muscles better, thus reducing the risk of strains. By limiting your moves, the shorts don't allow you to take leaps or make movements that could cause damage. They accomplish this by saving the energy you would consume while doing complex movements. They reduce the movement of the hips and allow you to build up resistance. By keeping the muscle groups in check, compression garments offer limited muscle motion, so you'll be able to avoid muscle soreness that usually accompanies an intensive workout session. Muscle damage takes time to heal and compression shorts help by reducing impact force by 27%. This will ensure that you won't have full motion for your muscles and joints, thus will prevent further damages. By preserving the heat, your body won't tire as fast and will be able to withstand longer and tougher exercises. An increased blood flow delivers oxygen to the cells and throughout your body, which makes compression shorts a good piece of equipment. This type of shorts will disperse the sweat faster and keep you cooler for a longer time. Overheating lowers performance and athletic abilities, so the best compression shorts will take care of the problem, so you can focus on your exercises without taking extra breaks or losing breath as easily. It’s needless to say that each brand has cheaper or more expensive products, created to fit your budget. Next time you're thinking about how much does a pair of Nike pros cost or where to buy compression shorts, check their website. Also, visit your local store, so you'll be able to touch and feel the material, as well as get an impression on how they'll look on you. There's also a chance that you'll find them on sale on other websites, so don't limit your search just on the brand's website. 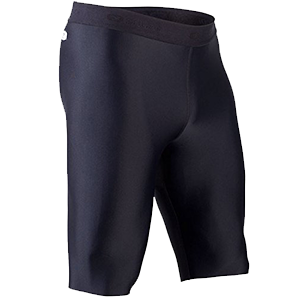 Under Armour compression shorts are incredibly comfortable and offer a UPF 30+ protection. They can be worn throughout the day, so whether you're planning to spend a day in the park or hit the home gym later on, don't leave home without them! The material is a special blend that allows free movements while keeping your muscles protected due to the 4-way stretch fabric. The elastic waistband fits well around your hips and you won't feel any discomfort while wearing these shorts. With a moisture transport system, you'll go for a run or climb hills faster than ever! It will keep you dry and reduce sweating, ensuring that your body won't overheat. The sun could be a problem if you like to spend time doing outdoor activities, but with a UPF 30+ protection, you won't have anything to worry about. In addition, these compression shorts come with an anti-odor technology! This will keep away any germs or bacteria that is responsible for bad smells due to sweating. All in all, these shorts are probably the best products you could buy and also come at a reasonable price! An intensive workout demands proper equipment, and Nike comes with Dri-Fit shorts that are exactly what you were looking for! Breathability, ventilation and excellent compression turn this product into an absolute must-have for every sport enthusiastic! The mesh paneling will allow ventilation and keep you dry no matter the challenge. Durability and quality can be seen by checking the flat seams and the combination of polyester and spandex that ensures the best care possible for your muscles and joints. 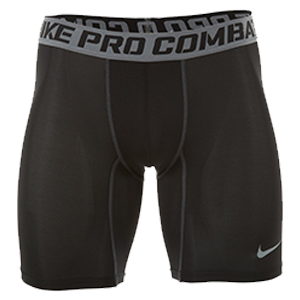 The elastic waistband is specially designed to increase comfort, while displaying the Nike logo. You'll remain cool due to the fabric that balances the body temperature and also keeps you dry, which possibly makes them the best shorts for running. They are a dream come true due to incorporating Quick-drying Champion Vapor technology with Moisture Management technology. They're a high-quality product that fits perfectly and prevents chafing. The Vapor Quick Drying Technology ensures that any amount of sweat will quickly dry off and thus will keep you protected from bacteria and germs. Ventilation is a must when we're talking about compression clothes, so rest assured that your skin will be protected. Sweating is normal during intensive workouts, but with Champion's compression sweats, it will dry faster than ever and leave you to concentrate on the game. With a high quality that's due to UV protection, anti-odor technology and great compression, this pair of shorts will are exactly what you needed. The material will offer relief, besides thoroughly supporting your muscles. The Polyester Spandex combination ensures that you'll feel at ease with this product and possibly never want to take them off! Joint protection comes together with muscle support, while offering you the best muscle oscillation. Infused with zinc and copper, these compression shorts mix the CopperZnergy with the Cool Copper technology to maintain your body heat and prevent muscle tiring. The 50+ UV protection allows you to wear them even on the sunnier days and still stay protected. In case you've pulled a muscle, Tommie Copper's shorts will give you a relief from the pain and keep you going. Designed for athletes, this pair of compression shorts will fit you well and allow ventilation so you'll remain dry and not have to deal with the unpleasant aspect of sweat. Breathability is the main feature for this product, so the material will aid ventilation and keep you safe from chaffing during training sessions. They come in different colors, so choose the right one for you or the one that fits best with other sports equipment you may have. The elastic waistband enhances the comfort and the logo attached to it gives you an athletic and stylish look. The minimalist design makes them suitable for every type of sport or outdoor activity, so feel free to go for a run or biking. Just a look at these shorts and will make you want them! Besides a great style and design, this product has UV protection, ensures a better oxygen delivery and is made from a high-quality material! Moisture wicking is a great feature of these shorts, so they'll keep you dry due to ensuring breathability. With them, your muscles will receive more oxygen and thus you'll get more power to carry on with your training. You'll benefit from a wide range of movements due to the warp knot fabric that is very comfortable and elastic. They are biomechanically created to boost your athletic performance and sports abilities. They are extremely durable. So, in case you won't need a different size, there's no reason to invest in another pair of compression shorts ever again. These shorts may very well be the starting point of every sports activity. The material clings to your thighs and supports muscle groups while you're swimming, running, paddle boarding or doing Jiu Jitsu! With double stitching and a breathable material, these shorts are a great product! They'll protect your skin from rashes due to a special material that is used especially for offering protection when dealing with sweat, dust and germs. This product can be worn even in winter, as an extra layer. Nylon and spandex will permit all types of movements and protect you from cold, which can put a spot on any outdoor activity. With a slim fit, customers will enjoy the smooth material and comfort CLINCH GEAR that these shorts offer. You can wear them all year long without any chafing or rubbing problems. This is an excellent product if you want to train, race or are in recovery. The fabric used to create 2XU Elite Compression shorts is a combo of PWX and PWX WEIGHT that will boost your resistance by reducing muscle oscillation. They can be worn during the summer or under another pair of pants if it's cold. The design will give more support to the hamstrings and abductor muscles in order to enhance the circulation and minimize fatigue. You can just throw them in the washing machine when it's time and after that they will dry fast. The Lycra, nylon blend feels great on the skin while looking stylish. Increase your power and say goodbye to fatigue with this amazing product! These shorts will give you the extra muscle support where is needed, in addition to looking great and helping your skin ventilate faster. The material made from 80% Coolmax and 20% Lycra will fit you like a glove while protecting you against rubbing and rashes. The high UVA/UVB protection of 50+ lets you run, hike or play football while keeping you safe from sun. With the COOLMAX fabric, sweat will dry faster and your body temperature won't rise as quickly. With a minimalist design, SUGOi presents compression shorts that can be a basic clothing equipment for anybody. Anti chafing technology and a laser cut hem, together with a not too wide elastic waistband make them your go-to piece of equipment! They have a nice shape and even the stitching is minimalistic, by offering flat seams to limit any type of chafing. The manufacturer used a graduated compression technology that will support the lower body and boost the performance. The laser cut hem is a nice choice that differentiates them from other products. They'll keep you cool while you're running or training due to the quality of the material that improves ventilation and offers breathability. 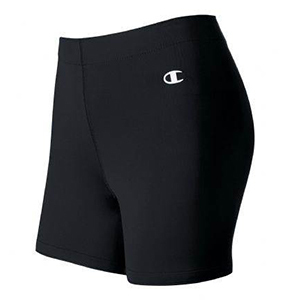 Champion doesn't disappoint with this incredible pair of compression shorts that incorporate Quick drying Champion technology and chaf-resistant seams. The material is a great combination destined to give the support and comfort that your muscles need. Baleaf introduces a one of a kind product that will certainly become your go-to piece of equipment. Besides the high-quality of the material, the pocket lets you take your cellphone, keys or music with you, whenever you go for a jog. The elastic waistband is wide in order to offer better muscle support. Once compression clothes have gained popularity, manufacturers like Nike, Under Armour, Tommie Copper or 2XU have developed entire clothing lines that promise to increase performance and protect your muscles, while boosting the oxygen supply throughout the body. Also Check out our Various Fitness Accessories for a better workout. Nowadays, there are so many shorts created especially for each activity so it's hard to see what sets compression shorts apart! Look for a blend between polyester and spandex. This combination will ensure a tight fit, while allowing your muscles to extend due to being a stretchy material. With so many products to choose from, it’s important to know what you're going to use them for. According to your favorite sport, pick the right ones that will enable the necessary movements and desired level of comfort. This layer will keep you warm before, during and after doing your exercises. Some people keep using compression shorts even when temperatures drop, so an extra layer might be in order during the cold season. Keeping the sweat away will cool down your body temperature and also prevent overheating. Intense workouts and sweating can cause irritation and chafing, so this feature should be a must for the best compression shorts. It may sound silly, but outdoor sports require as much protection as possible. A 30 or 50 UV protection will keep you safe from sunburns during summer. Having the proper equipment will protect your skin and leave you to enjoy working out regardless of the weather. Too little compression is as bad as too much compression. They should be extra fit, but not cut out the blood flow. Unlike medical clothing that lists the graduated compression, commercial compression clothes rarely do. While some people wear them underneath street clothes, others are comfortable and confident enough to get out in public with nothing else on (except a shirt maybe). Compression shorts can be shorter or longer, so keep that in mind when shopping for such products. Compression clothing should fit your body's measurements perfectly but keep in mind that some pressure is to be expected. Always check the sizing chart before buying them. Compression shorts will limit any kind of movement and increase the support. Running or climbing will seem easier without always checking if your shorts haven't ridden up. Also, the best compression shorts are also the best shorts for running because rubbing your thighs can cause rashes or irritations due to sweat. With a proper pair of compression shorts, you'll have nothing to worry about and you’ll be able to enjoy your exercises without over sweating or risking muscle problems! Some compression shorts are designed especially for athletes, so the price will reflect the quality of the product. Start thinking about why you want a pair of compression shorts and for what purpose. If you're just looking for better groin support and comfort, buy a product that won't affect your budget and that you can replace every couple of months. Compression shorts that will help you recover after strenuous exercises and protect joints and muscles fall in a more expensive price range due to actually fulfilling their purpose. Although they may have some similarities, like the length or line of stitchings, compression shorts are designed for sports activities, while boxer briefs are for everyday wear. Being extremely elastic, compression shorts could also be worn inside the house, but their benefits are seen when putting them to work for running, exercises, basketball, football or other activities where support is needed. Normal materials for boxer briefs don't have the necessary flexibility and elasticity because they were never meant to protect your muscles, but only your skin. Boxer briefs have to be comfortable, but even with a thinner material, they won't compress the tissue and muscles. Usually, when your boxer briefs are too tight, it means you need a new pair. When it comes to briefs, a size that is too small will cut down the circulation so don't confuse compression with the red stripes that accompany a too small clothing product. The compression running shorts won't allow any movement even during running. The support is given by the material that is elastic and tight and it envelops everything perfectly. They will compress your muscles, so they are extremely tight. The right size shouldn't allow you any room to put anything in between, not even underwear. Weight loss could be accelerated by wearing compression clothes due to the micro massage that is facilitated when wearing tight clothes that exert constant gentle pressure on the tissues. Compression running shorts shouldn't move regardless of the exercises you're doing. If they start to ride up, it means that you've bought a size that is too big, the material is of poor quality, or the stitching isn't right. Also, the style could not be the best one for your body form. Some materials are thinner than others and even though compression shorts should be worn directly on the skin, sometimes we're not comfortable going out in public with a see-through material. Either go for black shorts, or put another pair of shorts over the compression one. The best compression shorts for you should be of a quality material that will perfectly support your muscle groups, while allowing ventilation and breathability. Pick the ones that go well with your budget and feel right when you wear them!